I have to share something with everyone now. Anybody and everybody that knows me, knows that I am a die hard UNIX and Linux fan. I made the majority of my career managing UNIX and Linux boxes, with a server to admin ratio of sometimes 100 to 1. Everyone also knows that I am a die hard Debian fan, my distro of choice for my servers and my desktops is Debian, hands down. However, that doesn’t mean that I don’t use or like other distributions, I mean every one has it’s place and purpose. I really dig Ubuntu and SuSE and I cut my teeth on Red Hat and CentOS just as an example. 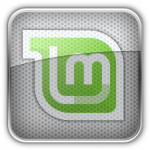 That being said, the purpose of this post is to tell you about another distro that I just recently checked out called Linux Mint. I know a lot of people have found it since it is in the number one slot over at distrowatch. On the recommendation of my friend Steve, I tried it out and I have to tell you that I was absolutely blown away by it. It’s based on Ubuntu which itself based on Debian so right there is a plus in my book, it has a solid core and foundation, but that’s not what blew me away.